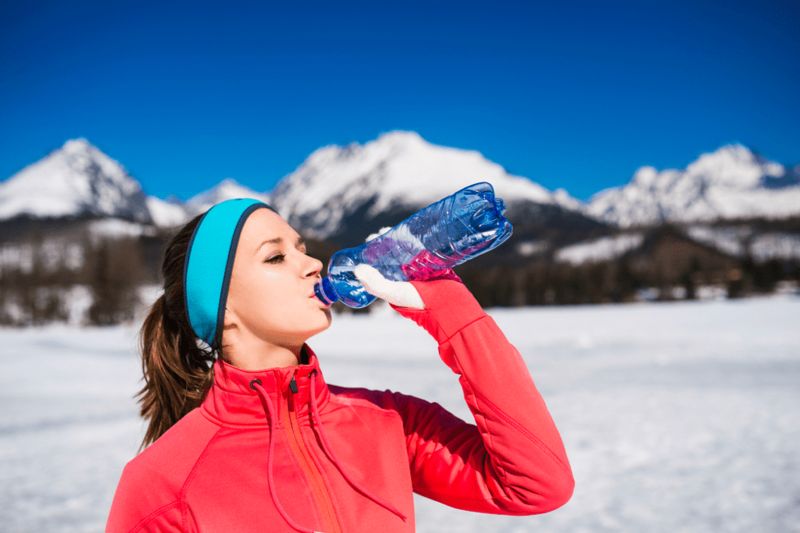 We all know the importance of staying more than adequately hydrated during the summer months, however, for many of us, our water intake declines over winter. There are less visible reminders to ensure that you drink water and you are less likely to feel thirst in the cooler weather than you would during hot summer days. However, it is even more important to drink to drink lots of water during winter than it is during summer. Here are five key reasons why you should up your water intake to stay healthy and hydrated over the winter months. Winter dehydration is particularly harder to notice – as you are not sweating, and you are feeling cool. It is absolutely essential that you keep hydrated to regulate your body temperature, allowing your body to carry important nutrients and oxygen around your body as well as remove harmful toxins from the body. Water is vital in keeping your skin cells full and hydrated, reducing the risk of peeling and chapping. Water removes impurities in your body, which, when not hydrated, can enter through your pores, causing you to have really bad blemishes. Keep your skin glowing by drinking water at regular intervals, despite the fact that you might not be feeling thirsty. Keeping well hydrated will ensure your body is running functionally and at an optimal level. When you are dehydrated your body functions slow down and use up your extra energy resources, leaving you feeling tired and sluggish. When the weather is miserable and days are dark it is easy to seek comfort in a high calorie and often unhealthy meal. Before digging in, why not have a glass of water beforehand? Our brains frequently mistake dehydration for hunger, and after drinking that water the hunger will most likely be satisfied. If you are adequately hydrated you are more likely to snack less and curb the temptation more efficiently. The winter months can be a tough testing time for our immune systems, with the many airborne viruses that we all seem susceptible to. Keeping well hydrated during the winter ensures that the barriers used to protect your body from colds and flu are fully functional and completely intact. To ensure that you stay fighting fit during the winter, make sure you keep drinking water regularly and fight back against viruses. Hopefully, these five reasons will be enough to remind you to keep your water intake up during the cold months and keep you happy inside and out. No matter the location, Drinking Water Fountains has the right drinking fountains to suit your needs and budget. For more information, send us an email at contact@drinkingwaterfountains.co.uk or contact us directly on 0845 500 4455 to speak with one of our customer service consultants who will find the right product for you!